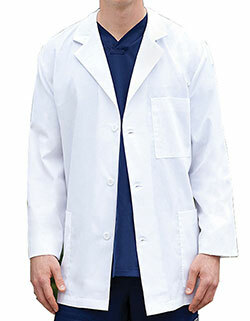 It’s a Cherokee 40-inch long lab coat suitable for men with free embroidery on the first line. 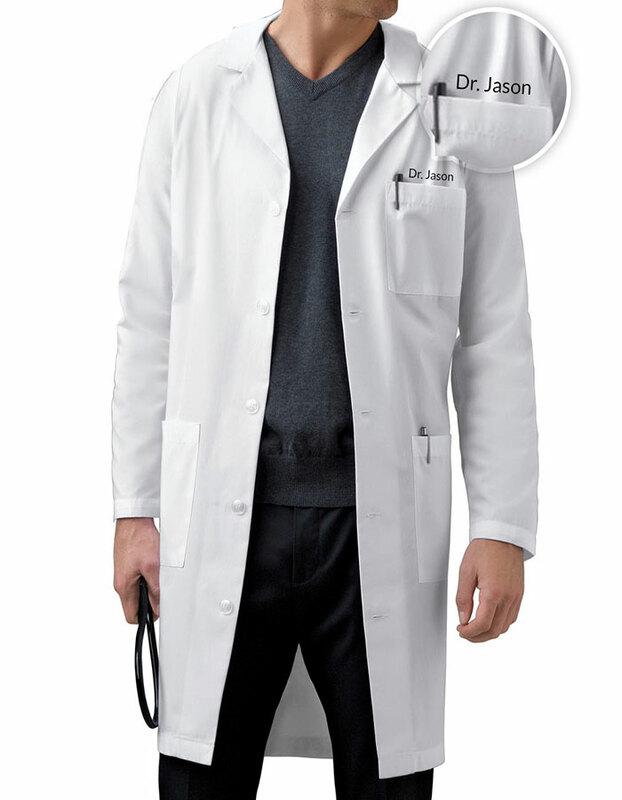 Styled in a classic notched lapel collar, long set-in sleeves and five buttons closure and with an adjustable back belt added detail and side access openings also included two roomy lower patch pockets and chest pocket for storing handy items. 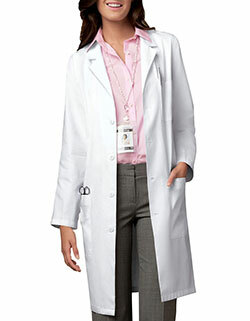 Look more professional with our low cost personalization and embroidery service. The material used is poly/cotton poplin with soil release properties.